What goes around comes back stronger, and goodness me it’s nice to have qrth-phyl come back. Last seen by us in 2012, the arcade Snake-o-dotgobbler from the glowing mind behind Leave Home has returned to us through a Steam release with new modes and online leaderboards. I have bought it, downloaded it, loaded it, burnt a few lives, then closed it because mate this is a bit much for me in the dying hours of my working week. Still pleasant, still colourful, still getting mighty tricky as your snake grows longer and longer coiling over and inside 3D objects.qrth-phyl is delightful playful with Snake from the start, when the very first level appears to be a traditional flat screen but turns out to be a 3D object where we can slither onto the back and even ride the rim. Soon we’re coiling around complex shapes, entering portals to wind freely in 3D space inside objects then back out again, dodging deathlasers, and nabbing colourful power-ups. It can be quite gentle, mind. The game adapts to how well we’re playing, finding a comfortable spot between “Oop bit tricky this” and “I am very much enjoying all these colours I’m making happen” with the help of bouncy bleeping beats from Rolando Simmons. At times it reminds me of Zen Bound 2, getting to know a shape by wrapping around it, then the ‘inside’ sections feel out the confines of cubeguts – the Rachel Whiteread of dotgobbling. Maybe it can get proper hard. I wouldn’t know, I’m not that great and this really is too much stimulation for me at 7pm on a Friday. 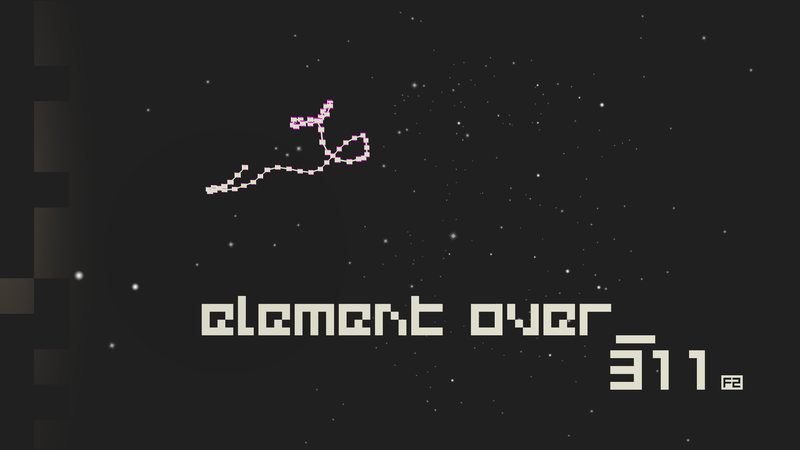 But I have at least enjoyed seeing how game-over screens display the snake’s final form. Here’s one where I died purposely to illustrate the point in this here informative RPS post, and I definitely didn’t muck up because my fingers aren’t used to directions being relative to the snake rather than the screen. qrth-phyl has snaked in and out of development in various forms since 2004, with the latest version hitting Steam yesterday priced at £4/€4/$5. This includes two new modes: Box, a single-life mode set inside a box; and Seed, which has fixed preset levels. Online leaderboards are in now, proving that I’m the 22nd best player in the world–of all 7.6 billion people in the world!–and let’s not check back on how that score holds up over time. It has Steam cheevos too. “It’s the best version of the game I think, and I’m planning on adding a few more things in the next few weeks,” creator Matt James Verran said. Tagged with Hermit Games, Verran, qrth-phyl.